I’m a huge fan of Christmas music. It’s one of my favorite genres, ever since I was a child. I grew up listening to a collection from Reader’s Digest, a couple artists whose albums always came out the day after Thanksgiving, and we sang carols together every Christmas Eve. You'll Be Hearing About This One Later. In college, I would blast my music from my room in Horton Hall, annoying the girls across the roof, but earning myself the title of Biola’s Kris Kringle and Horton’s Holiday Elf. I’m sure part of it was related to my stature, but I also know that nobody played their Christmas music more often, and with more appreciation, than me. 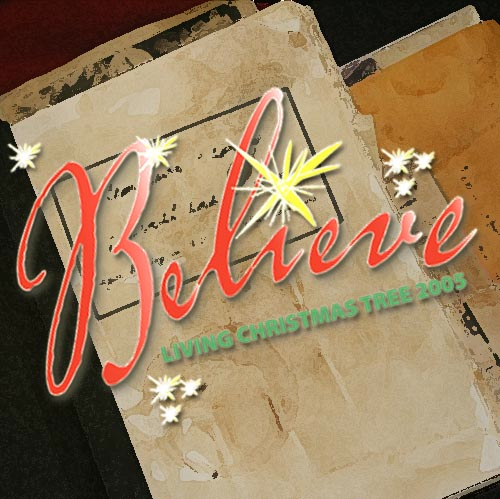 And the years I spent at Overlake creating The Living Christmas Tree musicals only deepened my appreciation. From 1999 to 2005, I began listening to music for the upcoming show in June. I would pour over new music offerings, look back at old albums, and choose which songs would be featured in our shows. 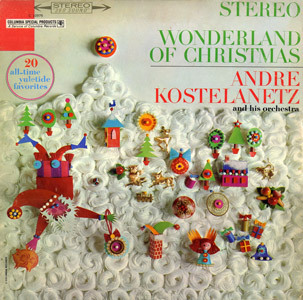 I no longer start listening to Christmas music in June, but once the weather begins to turn, typically in October, I pull out some of the less traditional albums, or less-“Christmasy” sounding artists, and put them into the iTunes rotation. Once November rolls around, the music gets a bit more familiar, but it’s not until Thanksgiving Dinner is over that the really nostalgic music of my Christmas childhood is put back into service. So grab your cocoa, imagine it’s snowing, you’re sitting by the fire. Here’s the first album, and I guarantee you, it’s probably not quite what you’re expecting. Jimmy Webb, a prolific singer-songwriter (“Wichita Lineman,” “Up, Up, and Away,” “MacArthur Park,” and hundreds more), branched into an area of composition that had fallen out of favor shortly after the death of Handel, the oratorio. An oratorio is basically an unstaged opera, usually dealing with religious themes. (Handel’s Messiah is probably the best-known example.) Webb chose as his theme the Birth of Christ. But thematically, the story of Christ’s birth is told not from the point of view of the human protagonists, but from that of the animals that hide in the corners of the story. Webb’s song cycle covers from the Annunciation (when Mary finds out she will give birth to Jesus) to the Holy Family’s escape to Egypt. And along the way, an amazing cast of characters tells their view of the story: an owl, a cricket, a frog, the Wise Men’s camels, the Innkeeper’s cat, and more. It’s an enchanting, classically-inspired work. Like any theme album, it is not easy to listen to without listening to all of the songs in order. They flow and segue into each other quite frequently, and many of them wouldn’t make sense out of context of the album. But what songs! “A Simple Little Tune” is an upbeat, fiddle-based song about a cricket calming Mary’s troubled mind after her visit from the angel, sung mostly by boy choir. “Incredible Phat” tells the story of the Innkeeper’s cat, who is actually the one who led Mary and Joseph to the stable. Almost a mini-opera in itself, the song goes from a haunting refrain about the “coldest night of the year” to a humorous description of the many inhabitants of the inn. “The Friendly Beasts” is the only traditional song, but Webb has composed a beautiful new tune for the song, which tells each of the gifts the animals gave to the Christ child. 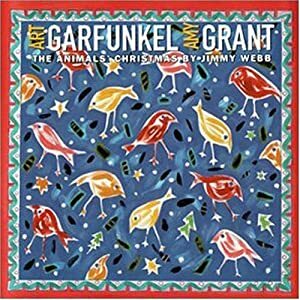 The afore-mentioned “Words from an Old Spanish Carol” is almost a round, describing all the animals coming to visit Jesus in the manger; the Arabian-inspired “Song of the Camels” sounds like a caravan; “The Frog,” is a beautiful song about a frog singing the first lullaby to the Baby Jesus. It’s beautifully sung and performed. The “hardest” song to listen to is actually one called “Herod,” which tells of Herod’s hatred for the baby, the murder of the innocents in Bethlehem, and repeats earlier refrains in a minor, sad, and somewhat cruel counterpoint. You may not be able to sing along with it the may you would with a Perry Como or Bing Crosby album, but The Animals’ Christmas is one that you can safely listen to long before the season begins. Listeners who want more from their Christmas music than “Jingle Bells” and “Silent Night” would be wise to consider this amazing, under heard, and sadly, out of print album.